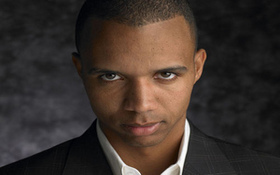 Phil Ivey is back! Since last April the world’s best poker player in many people’s minds has been MIA in the poker world, but after being spotted at the APT Macau tournament he showed up for the 2012 Aussie Millions , and it’s safe to say that he made his return to poker a very memorable one! Ivey nearly made the final table of the Aussie Millions Main Event, finishing in 12th place for $100k, and then went immediately over to the $250k buy-in tournament where he butted heads with 15 other high-rollers, all in search of the $2 million first-place prize. In the end it was Ivey who would walk away with another tournament title, another $2 million, and yet another addition to his resume. After Black Friday there were many top poker players who decided to take some time off from the tables; some for personal reasons, some became persona no gratis in the poker world, and others went into a self-sentenced exile to contemplate their next move in the poker world and get their heads straight. Ivey’s decision seems to have been a combination of all three of these things, considering he was a major player at Full Tilt Poker and one of the faces of the company, but also was very critical of the company in the immediate aftermath of Black Friday. Only three players would make the money in the $250k Challenge, and it was three of the biggest names in poker: Ivey, his heads-up opponent and runner-up in the tournament Patrik Antonius, and the third place finisher in the event Gus Hansen. Coincidentally, all three players were among the most marketed members of Team Full Tilt Poker. The tournament used a fast structure (it was a 1-Day event) causing the bubble to come quick for the entire field. With 4 players remaining it was Daniel Negreanu who found himself on the losing side of the biggest bubble in poker history, with over $1 million the amount of money that was on the line for the 4th place finisher –either winning $800k or losing $250k! Remarkably, the win is the biggest payday of Ivey’s long, illustrious, tournament career that has seen him win Eight WSOP Bracelets, final table the 2009 WSOP Main Event, and a World Poker Tour Championship. Ivey also seven other Top 5 finishes in WSOP tournaments, a runner-up finish in an EPT Main Event (just missing becoming a Triple Crown winner) , and EIGHT WPT Final Tables where he has finished in 6th place or better! The win also moves Ivey into 2nd place on the All-Time money list with $15,859,944, trailing only Erik Seidel. This entry was posted on Sunday, January 29th, 2012 at 9:19 am and is filed under Poker News. You can follow any responses to this entry through the RSS 2.0 feed. You can leave a response, or trackback from your own site.